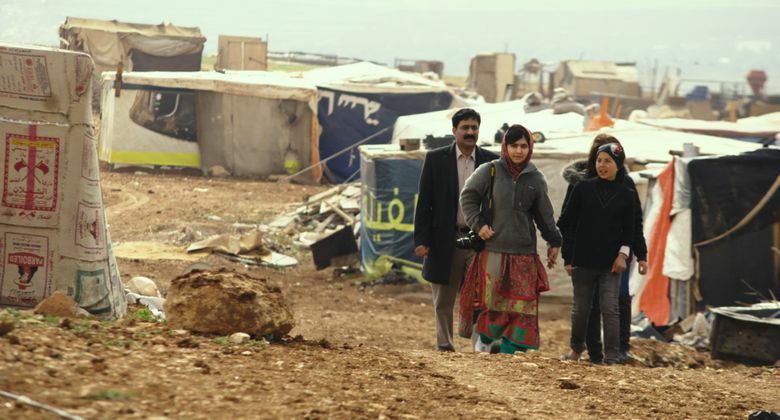 Movie review of “He Named Me Malala”: This well-crafted and deeply affecting documentary digs below the iconography surrounding teenage activist and Nobel Peace Prize winner Malala Yousafzai. Rating: 4 stars out of 4. Poised, articulate and indisputably brave, Malala Yousafzai is a fascinating, inspiring figure. 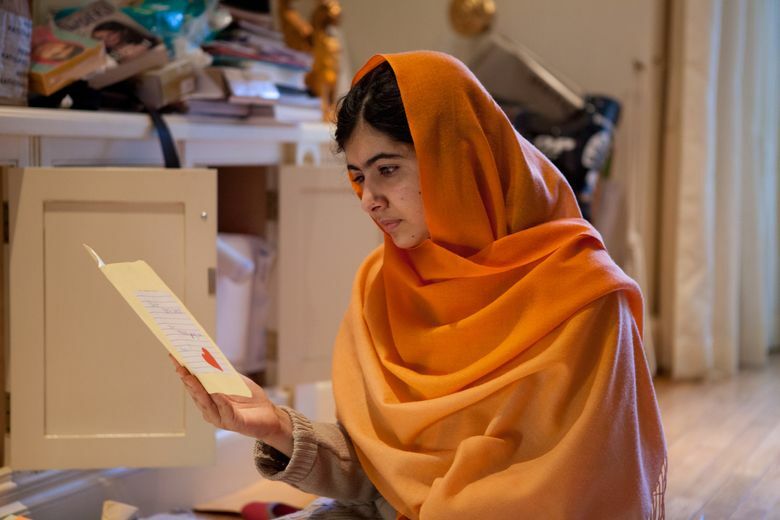 Shot in the head and gravely wounded by a Taliban assassin in her native Pakistan in 2012 when she was 15 years old, she not only survived but thrived, becoming a world-renowned icon of courage and commitment to the cause of education for girls around the world. “He Named Me Malala,” film­maker Davis Guggenheim’s well-crafted and deeply affecting documentary about the young woman (she is now 18), digs below the iconography and the honors — her sharing the Nobel Peace Prize in 2014, her meetings with world leaders, including President Obama — and offers an illuminating portrait of the human being behind the image. ‘He Named Me Malala,’ a documentary directed by Davis Guggenheim. 88 minutes. Rated PG-13 for thematic elements involving disturbing images and threats. Several theaters. In sections filmed at her family’s home in exile in Birmingham, England, she comes across as a typical teen, squabbling with her brothers around the kitchen table — “she is a little bit naughty,” her younger brother says — doing her homework and surfing the Web. Above all, she is revealed to be the devoted daughter of her father Ziauddin Yousafzai, the “he” of the title, who named her Malala after a Pashtun heroine revered as the Joan of Arc of Afghanistan. “We are one soul in two different bodies,” Ziauddin says, with Malala’s activism having been inspired by his own. He founded a chain of schools in Pakistan, spoke out publicly against the Taliban’s repressive and violent campaign against the education of girls, and instilled in his daughter a deep and lasting love of learning. Using family photos and painterly animation to limn her childhood years in Pakistan’s lush Swat Valley, Guggenheim provides context and background for the journey Malala has found herself on. In conversation, showing little evidence of the wounds she suffered, which have largely healed, Malala speaks with clarity and authority of her commitment to the cause of education and of her fearlessness born out of the trauma of the shooting.